Delaware’s Medical Marijuana Program is a bit of a minefield. This is because, while cannabis can still be recommended by physicians with a license to practice in Delaware, the state’s program has largely been suspended. Though terminally ill patients can still get a medical marijuana referral, possession of up to an ounce is still punishable by a fine. Carry any more, and the possibility of criminal proceedings and jail time increases. There have been changes in the law in recent times, as the law in Delaware surrounding medical marijuana was amended and expanded in order to prevent prosecutions of the sick and to extend the Medical Marijuana Program to terminally ill patients. 7 – 35 days; usually around 14 days. 2011 – Senate Bill 17 (SB17) is signed by Governor Jack Markell. Those with written certification by a physician recommending the use of marijuana may use and possess it, providing they stay within state restriction limits. Home cultivation is prohibited. 2012 – Delaware’s implementation of dispensaries (“compassion centers”) is held back by policy changes at the federal department of justice, much to the disappointment of Governor Markell. 2013 – Governor Markell sends a letter to Delaware lawmakers stating intentions to relaunch the state’s medical marijuana program. 2015 – Delaware’s first medical marijuana dispensary opens, near Wilmington. 2015 – “Rylie’s Law” is implemented. This means minors with intractable epilepsy or dystonia. Minors may not use any smokable form of cannabis, and the preparation they use must be a minimum of 15% CBD and a maximum of 7% THC and/or 15% THCA. 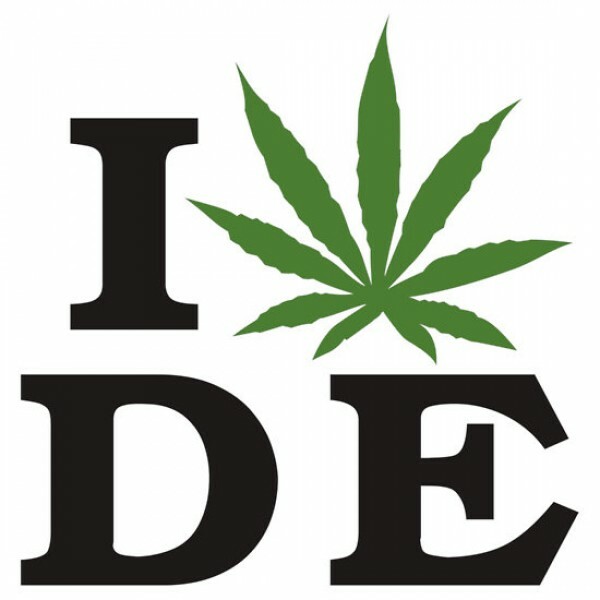 Delaware has decriminalized cannabis possession to some extent. Any person without a medical marijuana card who’s in possession of under 1 ounce for personal use is issued with a fine of up to $100 for a first offense (a Civil Penalty). Possession of up to 175 grams is considered a Misdemeanor, and may bring a sentence of up to 3 months incarceration and/or a $575 fine. Repeat offenders may get higher sentences and fines. As for medical marijuana patients, the possession limit is up to 6 ounces. Home cultivation is not allowed. There is no caregiver program. Recommendations are allowed for those under 18, if the recommendation is made by a pediatric specialist. Pediatric and adolescent patients can only possess oils with a minimum content of 15% CBD and/or 15% THCA. The maximum THC allowance for pediatric and adolescent patients is 7%. No reciprocity with other states. Applicants must be aged 18 or over in order to apply for a medical marijuana card for themselves.